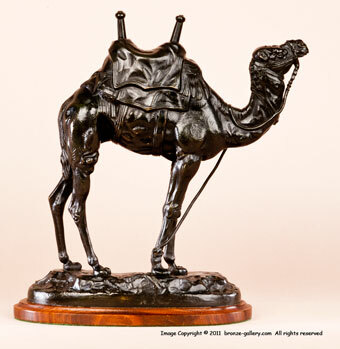 Here is a fine Barye bronze of a Saddled Dromedary Camel. Barye sculpted several different Camels and this Saddled Dromedary is probably the best known. It was also done with an Arab rider and without the saddle. The Dromedary Camel was from the desert sands of Arabia and Barye would have seen these animals in the Paris Zoo. Any Camel would have been a rare and exotic animal in the 19th century. 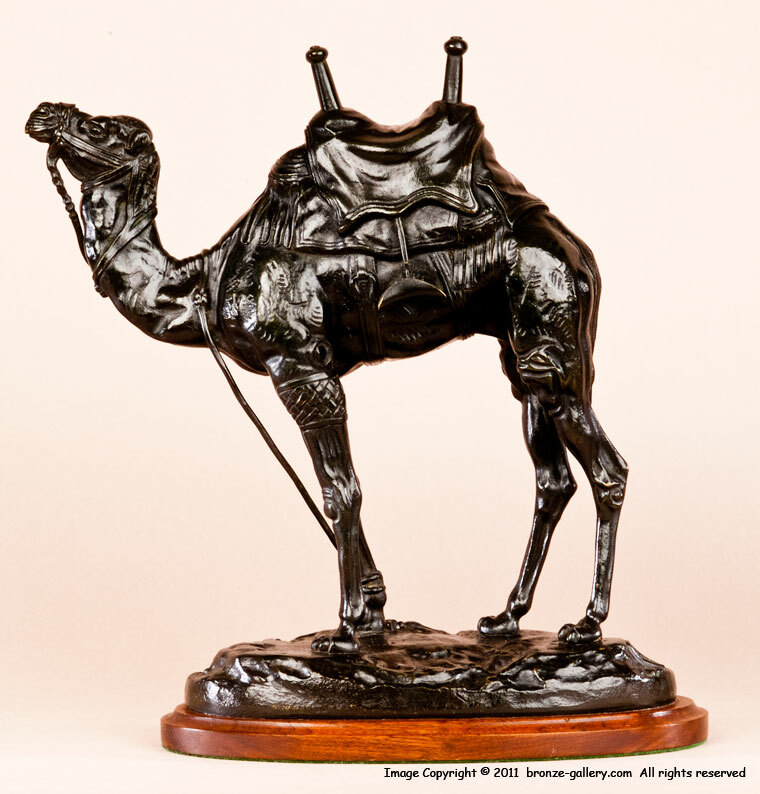 Barye must have been quite taken with them which led him to sculpt several different models of Camels. This bronze of a Saddled Dromedary is not often offered for sale, it is a desirable bronze that would stay in a collection. It has nice detail and a fine multi color patina in shades of dark green and black. This bronze is mounted on a later walnut wood base with felt to protect the furniture. A interesting Animalier bronze of an unusual animal. This model is illustrated in Payne's book Animals in Bronze on page 122.